Henoko shore where Futenma Air Base relocation is planned. 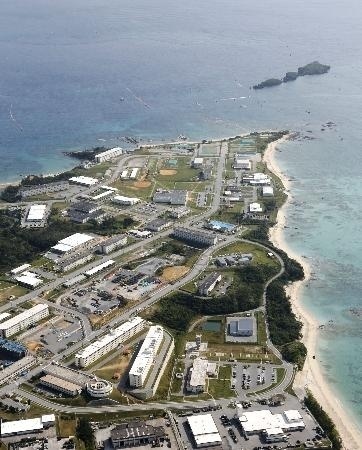 Okinawa Prefectural Government (OPG) decided to launch an additional court case on January 14 against the national government over the issue of Futenma Air base relocation to Henoko in Nago City. The case is to file complaints about the decision made by the third group, Central and Local Government Dispute Management Council, to have rejected Governor Onaga’s request to examine the conclusion about the issue announced by the Ministry of Land, Infrastructure, Transportation and Tourism. The complaint is to announce dissatisfaction with the conclusion based on the Local Autonomy Act. Currently, both national and prefectural governments are filing court cases against each other, and this additional court case will be the third case on the Henoko issue being held at the same time. Governor Onaga and members at OPG were set to discuss and make an official decision on January 15. The prefecture will precede with the process in order to meet a February 3 deadline held by the Council in order to file an action at the high court.